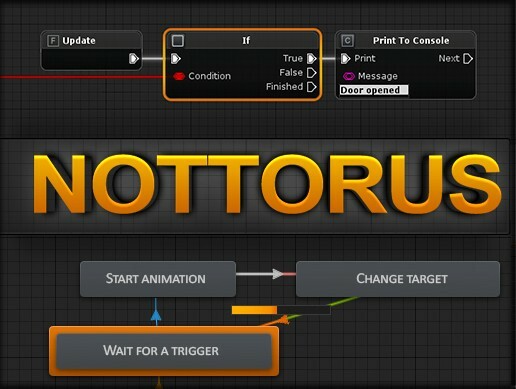 Nottorus is a visual programming plugin for generating and debugging C# Unity scripts. 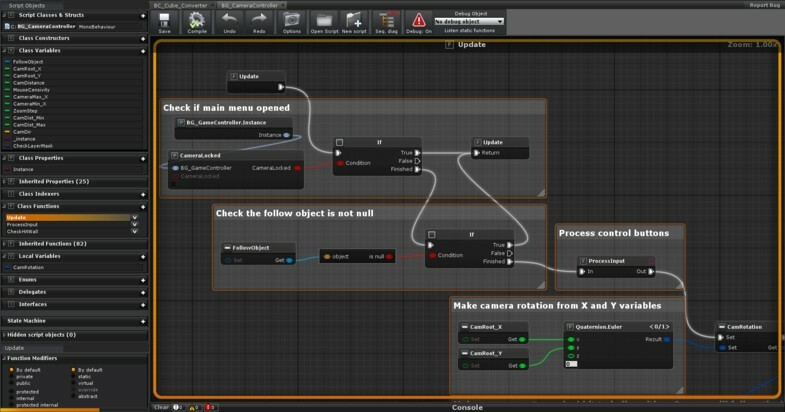 This plugin allows designers, artists and programmers without any limitation create C# scripts of any complexity, but requires basic programming skills. Without any limitation means you can create any code as well as programmers do. 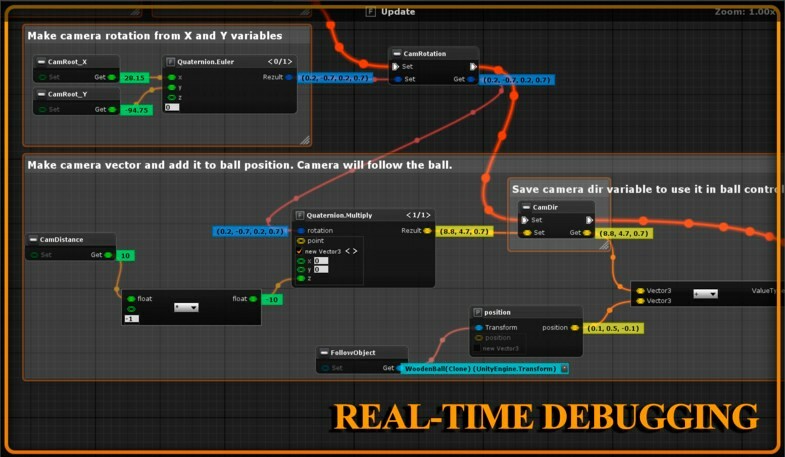 Even this plugin can be written on this plugin. - Unity Free and Pro.